Here I was sketching regularly but did not feel like updating. All these sketches have been done in my No Sew Handmade journal. One side of this journal is already finished and I'm looking forward to sketch more on the other side. Gorgeous leaves Susan, but my favorite is the lime green... Love it! 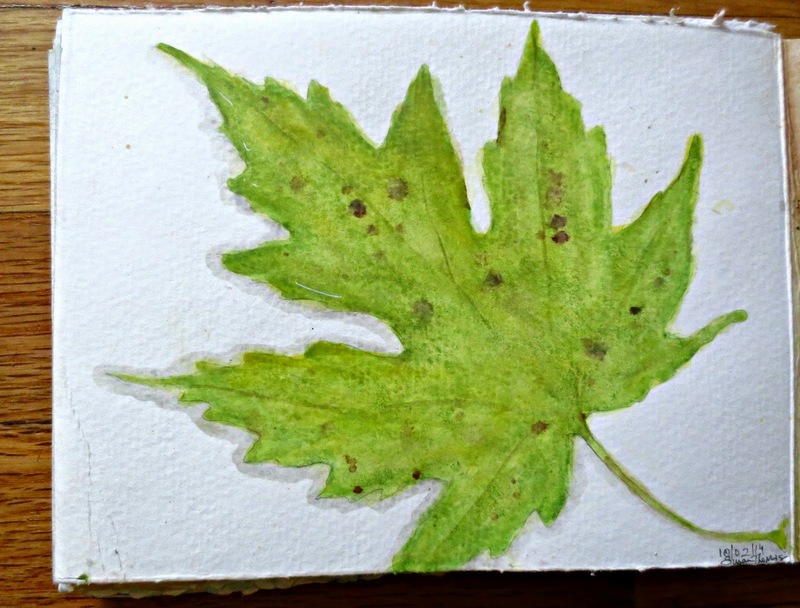 Beautiful leaf paintings. We are having an overabundance of acorns this year. I don't know what that means but the deer are having a feast every day. Perfect fall sketches. You got the colors just right. 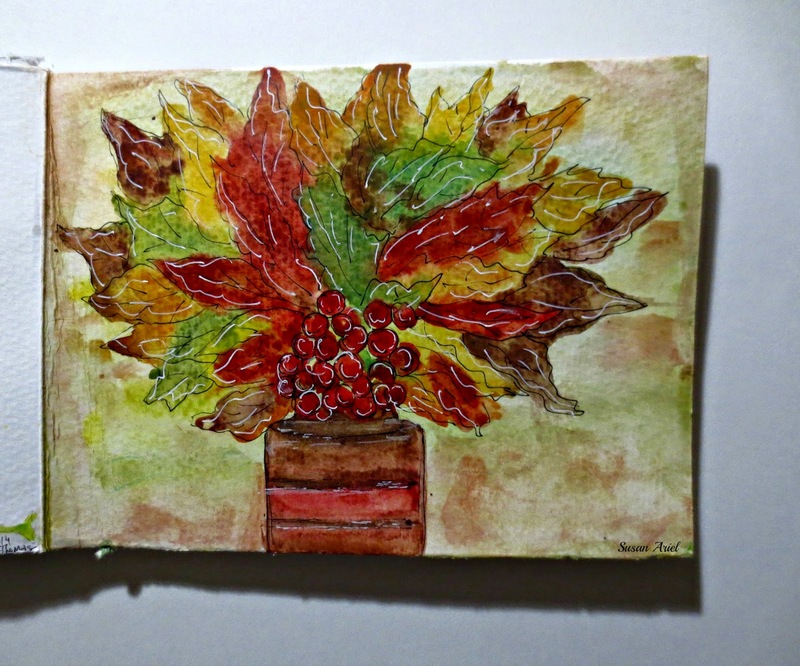 gorgeous sketches of the rich colors of autumn Susan! I love Fall and these paintings are just stunning. They fill my eyes to the brim. Beautiful! I love all the colors of Fall that you captured. Blessings! Hello Susan! WOW, these are gorgeous!! Love them so much, the colors and your painting is so good. I think fall is the best time to capture in pictures and in art, so much beauty!! Hope you are doing well, the computer is acting up again and makes coming on not much fun. We will get a new one at bonus time which will be much nicer. 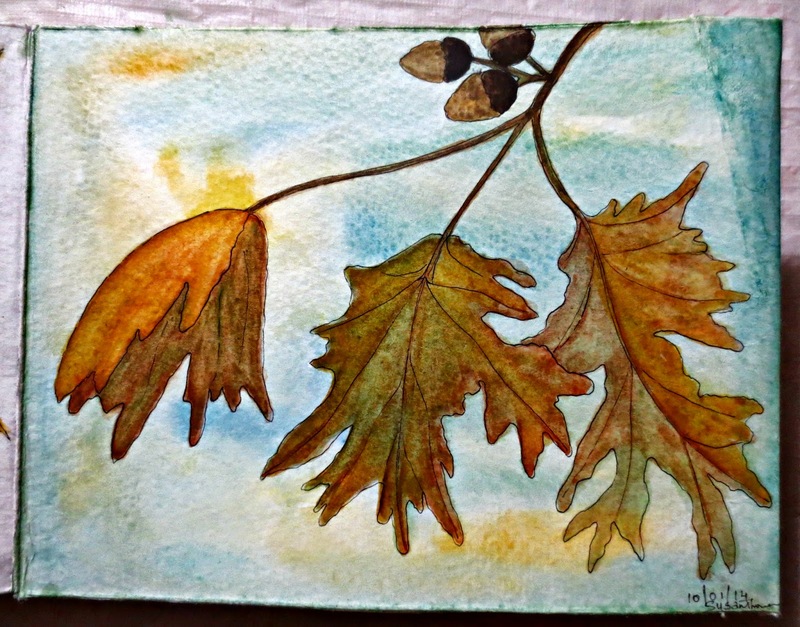 I'm doing good, enjoying the color changes and sketching leaves and we even had some summer weather days here. Keep enjoying the fall and sharing more with us too! !